Who is Pakistan’s existential enemy – USA, India or the militants? The obvious answer is India! The reason this question needs to be answered is to clarify the hazy image of national security. Indeed, a security policy built on mixed views is bound to fail. And “if the policy is faulty, even a brilliant strategy will flounder.” Existential threat here means a threat posed to the unity, demography and integrity of Pakistan. The very basis of the state or its physical existence stands challenged. No army can successfully fight on many fronts. Napoleon’s army and Hitler’s Wehrmacht both fell victims to imperial overstretch. Pakistan’s army is already facing numerous threats: India’s Cold Start strategy, USA’s de-nuking agenda, foreign sponsored separatists in Balochistan, Indian rekindled Sindhudesh movement, Karachi based ethnic/mafia groups, militants in Pakhtunkhwa and spill over of war in Afghanistan. The army’s primary task is to guard the borders against foreign threats. This essentially means deterring an Indian attack or a de-nuking attempt by any foreign power. The rest of the threats mentioned above need to be dealt with politically and with the support of the security forces. An internal security or specialised anti-terror force needs to be established. Therefore, the army should not be employed to solve political or economic issues; or tasks that are meant for specialised forces. From 1947 till 2001, the existential threat from India was clear. The muddying of waters began after USA’s invasion of Afghanistan. Although the 11-year long war was waged in that country, Pakistan had to bear the brunt. It converted Pakistan into a battlefield. ‘AfPak’ was meant to create the perception of a war zone on both sides of the western border. Buzz words like GWOT, non-state actors, al-Qaeda, Haqqanis, Blackwater and terrorists served as a ‘Strategy of Deflection’. First, the US aim was to use Pakistan’s assets to help defeat the Taliban and al-Qaeda in Afghanistan. Second, shift Islamabad’s strategic orientation away from New Delhi so that India could be pampered to compete with China and also entrench itself in Afghanistan (both were part of the neocon geopolitical wish list). The Indians played along. After the 2001-02 military standoff, India pacified Pakistan’s eastern border, but inflamed its western border. In the bargain, it established a network of consulates in Afghanistan to destabilise Pakistan. The corrupt and nonchalant Pakistanis took peace with India seriously; they saw their salvation in friendship with it. A decade long bombing terrorist campaign further confused the issue. The Taliban, al-Qaeda, Blackwater, Indian agents were all blamed. The lethality of terrorist strikes mostly indicated a high degree of sophistication with some being run-of-the-mill crude attacks. There was method in the madness. Apparently, multiple forces were involved conveniently labelled as Taliban. Apparently, the Taliban have two basic motivations. First to eject the occupying forces from Afghanistan; and second to impose their version of Islam. 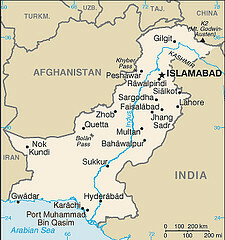 Since Pakistan was perceived to be a US ally, hatred towards it has grown into a ferocious militant bombing campaign. Simultaneously, separation seeking Baloch militants are being supported and financed by foreign intelligence agencies, while the Sindhudesh militant leader, reportedly, seeks succour in Kabul. The US, while partially withdrawing from Afghanistan, wants to embroil our army further into the hornet’s nest. Washington’s mantra that Pakistani army is fighting its lost war is endless. The Indians, too, are keen to get it bogged down on the western border through operations in North Waziristan. So the Malala incident is being exploited and misdirected. An orchestrated Indo-US media campaign, supported by liberals in Pakistan, aims to lure the Pakistani army. Their baited gambit seeks to launch it against its own people. This could create a massive backlash and terrorist campaign, further destabilising the state. With our army engaged in an endless war in Pakhtunkhwa, Balochistan and Sindh, the stage will be set for coup de grâce. This could set in motion Pakistan’s denuclearisation and balkanisation; plans that were conceived in hostile foreign lands. Perhaps, a perfect time to initiate the Cold Start strategy or denuclearisation campaign. Even a limited version of this scenario aims to pit our army against the Taliban and those fighting the foreign troops in Afghanistan. With the Americans leaving and the Indians vulnerable in Afghanistan, they seek to diminish Pakistani influence in Afghanistan. Our enemies want war in Pakistan and clamour for peace in the region. But Pakistan needs peace at home and peace abroad. The American geopolitical wish list was endless and frequently not doable, which resulted in an 11-year long war in Afghanistan. In addition to an exit strategy from Afghanistan complicated by USA’s desire to leave India – not Pakistan – as the winner. America is now perceived in some circles as the most dangerous threat to Pakistan. Yet logically speaking, hostility is an insane option for both USA and Pakistan. Islamabad and Washington can be friends again after the US leaves Afghanistan. Pakistan’s alliance with China, new friendship with Russia and old ties with the Taliban can help bring balance and peace in Afghanistan. Nevertheless, the threat to Pakistan from India commenced long before 1947. The Indians wanted to replace the British Raj and were loath to see the subcontinent divided. Unable to prevent the partition, they conspired to ensure that a moth-eaten Pakistan comes into being. Since 1947, their strategy has been to harm the country in every conceivable manner. India’s hegemonic agenda and its support for terrorists and separatists in Pakistan have spoiled their relations. Hence, the present existential threat to Pakistan is mainly from India.